My chrome problem is solved thank you but one last thing, the virus locked me out of my windows defender settings so now I no longer have access to it. Here is a picture showing the problem. Be sure that you have made a Reply to the original automated one. And attach the document above (along into the same ticket). I been having a lot of trouble lately because of this one trojan. I delete it Malware Bytes and I just start my day. But everyday I have to go into safe mode to delete them to log on. But today I cant log on anymore. I have scanned a bunch of times including the first time removing 300 malware threats. But I have many logs of deleting this one trojan clicker. Hi Stiles, Thank you for running the Support tool report. This system has definite signs of an infection. We need to have this thread moved to Malware Removal Help section. Please hold on until we get proper assist to get this moved over. By the way, I would be interested to know whether recently Avast antivirus was attempted to be installed & or uninstalled ? I did notice the Windows log showing a number of pending file rename operations for Avast. Hard Configurator: Likely false positive, please investigate. Note: This is a duplicate post that needs to be closed. These files suspect infected in my Environment. But Malware bytes not capture. Are these a list you made or file you suspect are infected? *.belairinternet.com is blocked for a string of trojan downloaders in March on that domain. This link shows some of the hashes for the offending files - https://www.virustotal.com/en/domain/belairinternet.com/information/ - if the site gets cleaned up, a request for review and release can be done. Hi, It's been 2 days since I created a support ticket and I still have received no response other than the automated acknowledgement. I bought this software with a lifetime license in 2012 and have only installed it on one PC. The same PC that the 3.7.1 update decided to blacklist. I found a copy of the original purchase order and can provide it if someone responds to my support ticket. I love this software which is why I originally purchased the lifetime license. Until this problem is resolved I won't feel secure browsing on the internet. Could someone please figure out why after 7 years of use on the same PC the 3.7.1 update blacklisted my lifetime license? Thanks. Site marked as Trojan, is this correct? Can you please post your protection log. Your attachment is corrupted and unreadable. I've tried various methods to open Malwarebytes but none have worked. 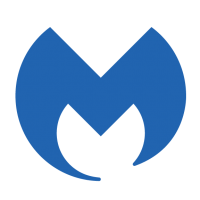 The Malwarebytes service runs but the program does not open. @aldeuce current implementation does not support GPO, command line or any registry based interaction. But we have thought about going to a filter based list which can be imported/exported, of-course this is just an idea right now.